In this report, we will describe the dark underbelly of how charter school promoters such as Bill Gates have used their vast wealth to bribe and corrupt elected officials from small rural school boards to state legislators and even the State Superintendent of Public Instruction in order to continue the charter school scam in Washington State - even after the Washington State Supreme Court ruled that charter schools are unconstitutional. We hope you will share this important article with other parents, friends and teachers who care about the future of our democracy and our public schools. It is ironic that two of the most corrupt scams facing our state education system were discussed at the Washington State Senate Ways and Means Committee hearing on Monday January 18 2016. The first was a JLARC Report on Tax Preferences. The second was the scam charter school "fix" bill Senate Bill 6194. "Tax Preferences" is a fancy term used for billions of dollars each year that are robbed from our public schools and handed to wealthy corporations like Microsoft and Boeing. For example, Bill Gates evades paying about one billion dollars per year in Washington State taxes by pretending that his corporation, Microsoft is located in Reno Nevada rather than in Redmond Washington. "Charter Schools" is a fancy term used to describe unregulated contracts given to private for profit corporations that also rob our schools of millions of dollars. See the connection? Both bills benefit billionaires while harming one million school children in Washington state who now are forced to spend their school days in extremely over-crowded classrooms just so a few billionaires can buy bigger boats. Sadly, I predict that both scams will pass the State legislature. In August 2015, the Washington State Supreme Court not only found that the State legislature was in contempt of court for failing to comply with their "paramount duty" to fully fund our public schools - but began fining the legislature for every week this violation continues. Then on September 4 2015, the same Washington State Supreme Court ruled that the charter school initiative was unconstitutional. Normally, when the Supreme Court states that something is against the law, most responsible grown ups would simply comply with the law. However, leaders of our state legislature have apparently decided to ignore both court orders. In terms of funding our public schools, there has been only one bill submitted in the legislature this past year that even comes close to the $3 billion per year needed to lower class sizes in Washington state back down to the national average. That bill, Senate Bill 6093 sponsored by Senators Chase and McAuliffe, would end a tax loophole the wealthy use to avoid paying their fair share of state taxes. It has not even gotten a hearing. Instead, while the needs and rights of one million school children to an education are shoveled under the rug, the entire focus in Olympia has been on how to ignore or "fix" the Supreme Court Charter School ruling. Here we will describe four of these charter school "fix" scams - all funded by the man behind the curtain, Bill Gates. For those who do not know, despite the fact that he is the richest man in the world, Bill Gates has since 1999 refused to pay his fair share of state taxes so we can fund our public schools in Washington state. He does this by pretending that Microsoft is located in Reno, Nevada rather than in Redmond Washington. Currently he has evaded paying about $10 billion in back taxes. In 2012, he used about $30 million of these ill-gotten funds to set up several fake front groups to help him pass the Charter School Initiative 1240. However, Article IX, Section 2 of the Washington State Constitution requires a "uniform system of public schools." 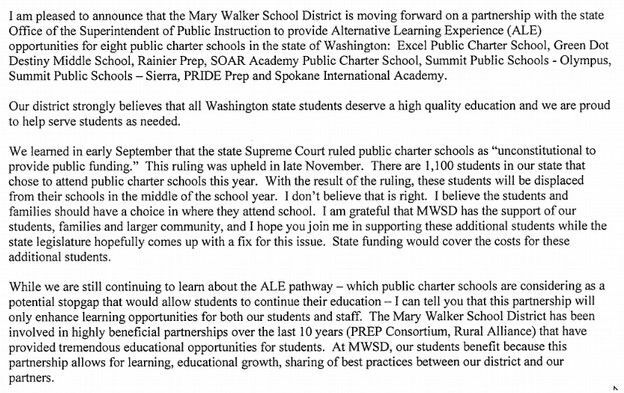 Therefore, the Washington State Supreme Court declared charter schools to be unconstitutional on September 4 2015. On September 4 2015 shortly after the Washington Supreme Court ruled that charter schools were unconstitutional, instead of stopping funding for illegal charter schools, Superintendent of Public Instruction, Randy Dorn, made an "emergency decision" to ignore the Supreme Court ruling and send state funds to the illegal charter schools. There was no emergency as the public school year was just starting and every charter school student could have easily registered to attend their local public schools like all of the other one million Washington state students. The excuses for Randy Dorn to keep funding charter schools ended on November 20, 2015 when the Supreme Court refused to reconsider their September 4 decision. Apparently, the illegal Charter School Commission anticipated that the Supreme Court would not reverse their decision because three days before the Supreme Court announcement, on November 17 2015, Bill Kiobasa, the head of the Charter School Commission sent an email to Kevin Jacka, the Superintendent of the Mary Walker School District, discussing a money laundering scam involving several illegal charter schools signing contracts to be "Alternative Learning Experiences" (ALEs) under the Mary Walker School District. 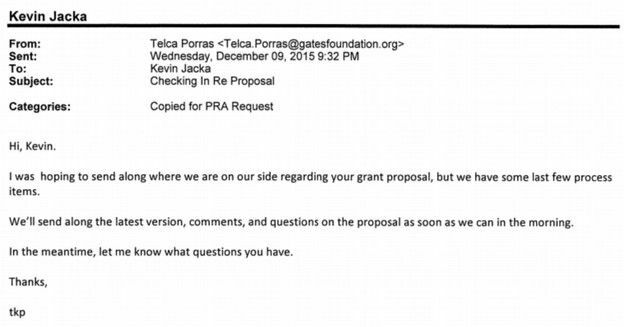 A follow up email the next day explained that this scam had been hatched at a meeting on November 9 2015 and involved the Mary Walker School District getting a grant (also known as a bribe) from the Gates Foundation. With the support of OSPI, on Monday, November 30 2015, the Mary Walker School Board voted to go along with the Charter School ALE Money Laundering scheme. It turns out this school board was hundreds of thousands of dollars in debt - an important fact we will get back to in a minute. This led to Memo 072-15 issued by Randy Dorn on December 3 2015 called "Transitioning Charter School Students to Alternative Learning Experience Students." "As a result of the Washington State Supreme Court announcing that it will not reconsider its September decision...the Office of Superintendent of Public Instruction (OSPI) no longer has legal authority to allocate apportionment to charter schools. ..
Several of the approved charter schools intend to contract with public school districts for the purpose of providing education services to the students formerly enrolled in the charter schools. The school districts intend to provide the services either through traditional methods of instruction or as alternative learning experiences (ALE). To assist resident districts, charter schools and families, transition of students from charter schools to ALE, OSPI is taking the following actions... OSPI will facilitate the transfer of students from resident districts to a (non-resident) school district’s ALE program.."
There were only a couple of problems with this scam. 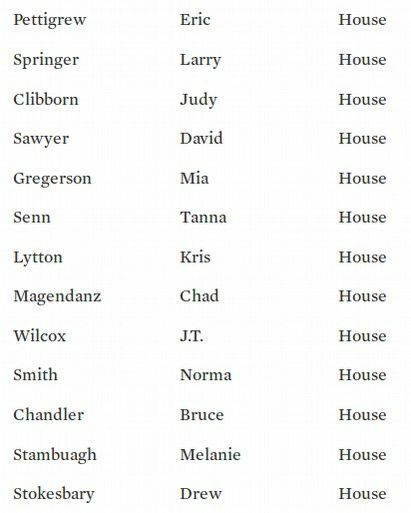 While it is likely that Randy Dorn giving charter schools even a penny - even back in September -was contrary to the Washington state constitution, . it is almost certain that the current scheme of pretending the students are ALE students is against the state constitution. But the biggest problem is that allowing this scam to occur required the consent of the "resident" school district. There was a new school board elected in Seattle in November 2015 and all of the newly elected school board directors are opposed to allowing charter schools to rob funds from public schools. Apparently, Randy Dorn had not figured this out because OSPI asked the Seattle School Board to approve this charter school money laundering scheme and the Seattle School board refused. This became clear in a December 8, 2015 email from Kenneth Gotsch, Assistant Superintendent of the Seattle School District to OSPI stating in part: "Thank you for contacting me about OSPI’s willingness to process choice forms for students (detail in OSPI Memorandum No. 072-15M; dated December 3, 2015) who want to move from a charter school to an Alternative Learning experience school (ALE) operated by another school district. After talking with the Seattle Public Schools Superintendent and with other senior staff, Seattle Public Schools does not want OSPI to initiate choice forms for charter students who are residents in the City of Seattle." In short, the new Seattle School Board said "Thanks for asking us to violate the law. But we intend to honor the Supreme Court ruling." 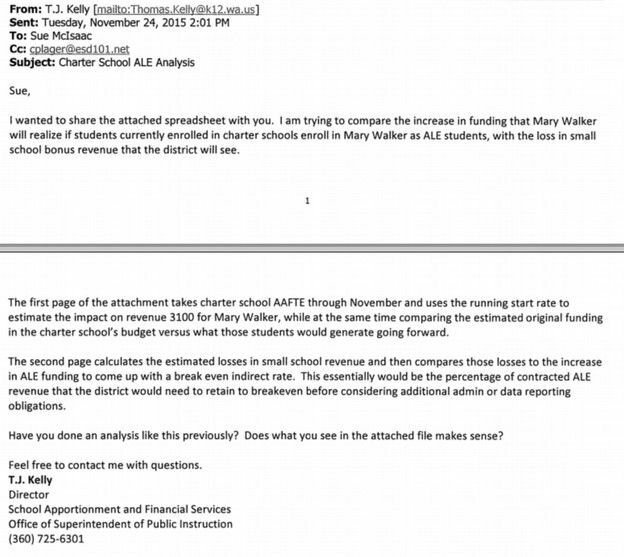 In other words, if the Mary Walker School District goes along with the Charter School to ALE money laundering scheme, they get a cool $2.1 million! 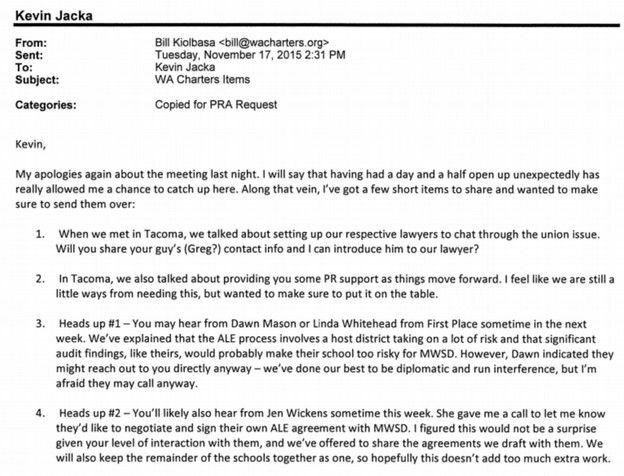 The Kevin Jacka announcement on December 9 2015 that he was moving ahead with the Charter School ALE Money Laundering scam led the Seattle School Superintendent to send an email to Kevin Jacka explaining Washington state law at 8:07 AM on December 17 2015 stating in part: "Seattle Public Schools stands ready to work with our charter schools to reabsorb students back into Seattle Schools. As we have made clear to OSPI and now to you, we do not intend to subvert legal processes to find ways to fund charter schools that have been ruled unconstitutional." That pretty well hits the nail on the head. Finally, we have found a school district and superintendent willing to stick up for the Washington state constitution. One would have thought that would have been the end of this nonsense. 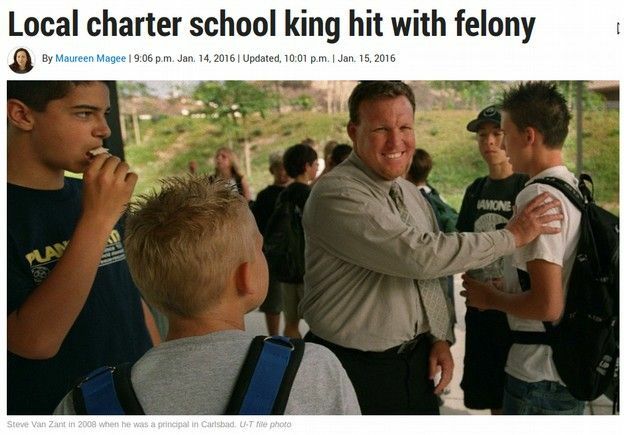 But it turns out, this was only the beginning of this charter school collusion and corruption scandal. One day after the Seattle School District sent the email to the Mary Walker school district telling them that they would not comply in violating the State Constitution, on December 18, 2015, a couple of fake groups, SFC and LEV, announced that they had formed a new PAC to provide a half million dollars in campaign contributions to legislators willing to "fix" the problem created when the Washington Supreme Court ruled that the Charter School Initiative was unconstitutional. The groups who formed this new PAC have received tens of millions of dollars from Bill Gates to promote charter schools. So this is really a half million dollar PAC funded by Bill Gates. 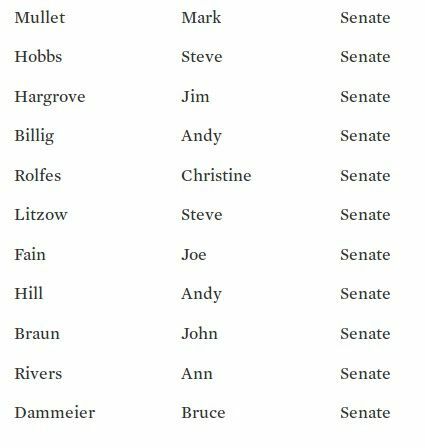 The WA Charter School PAC website described their new program this way: "The WA Charters PAC delivered checks of $1,000 dollars to 13 members of the house and 11 Senators, on both sides of the aisle last week, including Representatives Pettigrew (D-37), Sawyer (D-29), Senn (D-41), Magendanz (R-5) and Senators Mullet (D-5), Fain (R-47), Litzow (R-41), and Rolfes (D-23). The PAC is continuing to raise funds despite the December 10th cut-off date... WA Charters expects to raise more than $500,000 by the end of session... We know we will have more champions to thank after the session” added Thomas Franta, CEO of WA Charters." "Bribe: Something given or promised to a person in order to influence dishonestly a decision or action; something valuable (such as money) that is given in order to get someone to do something; money or favor given or promised in order to influence the judgment or conduct of a person in a position of trust; to try to get someone to do something by giving or promising something valuable (such as money). " "Article II, Section 30 BRIBERY OR CORRUPT SOLICITATION. The offense of corrupt solicitation of members of the legislature, or of public officers of the state... to influence their official action, shall be defined by law, and shall be punished by fine and imprisonment... A member who has a private interest in any bill or measure proposed or pending before the legislature, shall disclose the fact to the house of which he is a member, and shall not vote thereon." The good news is that after I spoke against this bill at a Senate Hearing on Tuesday, January 12th, 2016, a senator came up to me and said that Senate Bill 6163 was dead. The bad news is that it was being replaced by an even worse bill called Senate Bill 6194. Which leads us to scam number four. The problem with this bill is nearly the same as the problem with the Charter School Initiative in that it sets up a two tier system of public schools that have to comply with state laws and private for profit charter schools that are exempt from state laws. Thus, it is a clear violation of Article IX Section 2 of our state constitution which calls for a uniform system of public schools. It is also a framework for fraud because the funds are not directly accountable to a locally elected school board. Instead, money is laundered through a privately appointed school board to for profit out of state corporations. As for that two million dollar donation. It comes to $4,000 for each of the Mary Walker School District's 500 students. If Bill Gates were to make a similar $4,000 donation to the State of Washington for each of our one million students, kids who matter every bit as much as the students of the Mary Walker School District, Bill would pay $4 billion - which is close to the amount he owes in back Washington state taxes for falsely claiming that his corporation Microsoft is located in Nevada instead of Washington state. Requiring Bill Gates to pay his fair share of state taxes would allow all of our schools and all of our kids to have smaller class sizes. But that is a subject for another report. Here we are focusing on the Mary Walker School District. What is odd about this is that the conference was held in San Fransisco. The Mary Walker School District was the only school district from Washington state to participate in this conference and one of only five school districts in the entire nation listed as a participant. The other four included two California school districts near where the conference was held. This got me wondering: where the Mary Walker school district got the money to attend a conference promoted by billionaires in San Fransisco? 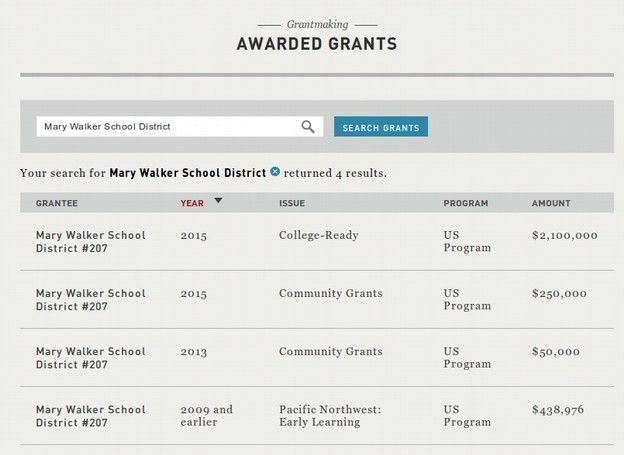 So I went to the Gates Foundation and entered the Mary Walker school districts into the donations search box. I discovered that Bill Gates has given the Mary Walker School District not just $2 million but nearly $3 million! So our new question is why would Bill Gates give this school district $2.85 million when he is too stingy to even pay his Washington state taxes? Perhaps it might have to do with a statement on the Home page of the Mary Walker School District website which explains that the mission of the Mary Walker School District is to "make significant contributions to our community. Just as important as academic excellence, a heavy emphasis is placed on civility, citizenship, and character development." So instead of focusing on the three R's, they focus on the five Cs. In a moment, we will look at what Mr. Jacka means by "significant contributions to the community." First, there are some strange things about the Mary Walker School District website. 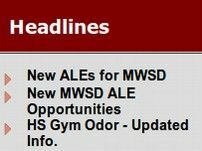 In the right side menu under headlines are menu items for new ALE (Alternative Learning Experiences) opportunities. "The Mary Walker School District believes that all students in Washington state deserve to have a choice of where they go to school and be provided a high quality public education. That’s why our district’s trustees have voted to provide – in partnership with Office of the Superintendent of Public Instruction – Alternative Learning Experience (ALE) opportunities for interested public charter schools in the state... Our goal with the ALE collaboration is to ensure that students in partnering charter schools can remain in their current school building learning environment while the state Legislature addresses the recent Supreme Court ruling regarding public charter school funding... Our District received the Washington Achievement Award in 2013 and 2014, the School of Distinction Award in 2015 as well as a Best High School Silver Award in 2015." There are two problems with the January 6th press release. First, how did the Mary Walker School District get so many awards? A quick trip to the OSPI Report Card shows that only 50% of the 5th graders and 8th Graders were able to pass the MSP Science Test and only 27% of the 11th graders were able to pass the 11th grade SBAC test. In 2011, only 42% of the 10th graders passed the EOC Math Test and only 66% were able to pass the State Reading and Writing Test! The second problem is that Alternative Learning Experience programs are supposed to comply with all state laws regarding using real teachers with teachers certificates and the whole point of charter schools is to waive all state laws so that they can use fake teachers with no training who can be paid starvation wages in order to line the pockets of rich "educational management" corporations. Also Alternative Learning Programs are supposed to be under the direct control of the school district in which the program is located. So how can the Mary Walker School District control ALE (charter school) programs that are located in the Seattle School District? It seems that neither the Mary Walker School District staff or the OSPI staff are very aware of state law on ALEs. Even the idea of allowing one school district to control some programs in another school district seems to be a direct violation of the Uniformity Clause of Article IX, Section 2 of our State Constitution which calls for a "uniform system of public schools." If parents in the Seattle School District do not like how the Charter School ALE program is run, how do they vote out of office a school board that is in the Mary Walker School District? "A small school district north of Spokane is getting $2.1 million from the Bill and Melinda Gates Foundation in part to hire four consultants to help it absorb and preserve six of Washington state’s nine charter schools. The Washington Supreme Court ruled charter schools could not use state funds to operate. In response, the charter schools struck an agreement with the Mary Walker School District in Springdale ..Jacka said six charter schools have signed contracts with the Mary Walker district to become ALE programs. " Here is one of the comments from this article: "Let's be clear: Kevin Jacka and the Mary Walker School Board has agreed funnel taxpayer dollars through the Mary Walker School District into unconstitutional charter schools. We're looking at a money laundering scheme." Blogger Dora Taylor also called Mary Walker deal with OSPI a money laundering scheme: "The charter school shell game in Washington State: Money laundering at its best (or worst?) by way of OSPI... Deals are being made behind the scenes and under the table in a way that looks, sounds and smells like contempt of court to me. Honestly, if Bill Gates wants to determine the fate of our schools, he should simply run for State Superintendent of Public Instruction (OSPI). It would be far more democratic than providing OSPI with over $42M since 2009 and strong-arming OSPI into doing Bill’s bidding." The OSPI website shows that the Mary Walker School District has about 500 students and a graduation rate of 86% in 2014 - which is odd since only 42% of their 10th graders passed the EOC Math Test and only 66% were able to pass the State Reading and Writing Test - and passing both of these tests was required for graduation in 2014!Checking previous years, in 2011, the 4 year graduation rate was 75%. So in just three years, the Mary Walker School District has found a way to increase (or inflate) their graduation rate from 75% to 86%. This is quite an accomplishment for a school district where half the kids can't pass state required tests. Next, let's take a closer look at Kevin Jacka, the Superintendent of the Mary Walker School District. Jacka, served on the Washington State Charter School Commission until resigning December 2 2015. This was well after the State Supreme Court rules that charter schools were unconstitutional (making the charter school commission also unconstitutional). But it was just one week before Mr. Jacka sent out the December 9 2015 press release saying he had made a deal with OSPI and six charter schools to place them under his supervision. It must have been a busy week for Mr. Jacka. At the time, it was unclear how this small school district would be able to supervise an additional 800 students. Thankfully, Bill Gates stepped in to provide an extra $2 million - a deal which we now know had been prearranged. The ALE program itself appears to have problems with fraud and corruption. According to reports from the Washington State Auditor, the total cost of this program is $80 million per year for a program with an estimated graduation rate of 32%. The Auditor found that the ALE program had been used to pay for everything from horseback riding lessons and hay rides to ski trip tickets and pizza parties. There are about 50,000 students in ALE programs in Washington state (including 12,000 students in online ALE programs such as K12 INC). This is five percent of the total students in Washington state. Yet according to the State Auditor, ALE programs account for nearly 30 percent of all high school dropouts! In an article called "End the Struggling Student Shell Game," I described in greater detail how struggling students are transfered out of some school districts and dumped into these Alternative Learning Experience programs in order to artificially inflate the graduation rate of the school districts that dumped the students. "The general fund ending balance as of March 31, 2015, was a deficit of approximately $189,800. In addition, in fiscal year 2015 the General Fund borrowed $170,000 from the Capital Projects fund in order to meet immediate cash needs. " So it appears that one of the reasons the Mary Walker School Board voted to accept the $2.1 million bribe from Bill Gates was to help bail them out of their financial problems. This also is a likely violation of the Bribery Clause in the Washington State Constitution. The Office of the Superintendent of Public Instruction – which created the programs – hasn’t been policing them. The office in 1998 issued a memo telling school districts they couldn’t claim state funding for learning time spent on religious texts. But both the legislative investigators and state auditors said that OSPI hadn’t publicized that policy well. The state auditor's office audited 67 out of 295 districts, coming away with 52 "reportable conditions," including findings and management letters.The sheer number of findings has raised eyebrows across the state. So much so that the state auditor's office plans to release a detailed overview of the issue next week, spokesman Matt Miller said. California has allowed charter school fraud scams for years. On January 14 2016, Steve Van Zant, the former superintendent of a small rural "cash strapped" school district, very similar to the Mary Walker School District, was indicted for fraud. The scam involved helping set up about 27 charter school money laundering schemes for a percentage of the action - very similar to what the Mary Walker School District superintendent is doing. Here is a quote from the article: "Officials from small and cash-strapped districts approved charters to operate outside of their boundaries in part for financial reasons." Note that the "financial incentives" are kickbacks from the charter school scam artists to the small rural public school districts that authorize charter schools that are actually located in urban areas far from the authorizing district. These charter school scams in California were set up as Alternative Learning Experience (ALE) or online learning programs even though they had physical schools located in urban school districts. So the fraud was on multiple levels of collusion and corruption. There are numerous lawsuits now being conducted in California as a result of these scam agreements. Van Zant was paid $172,000 per year for a 3 day a week job by these small school district. There was no word on how much additional money he took in from kickbacks from this consulting firm. The harm to public school districts was in the hundreds of millions of dollars in losses. The harm to public school students, in the form of higher class sizes due to the loss of funds taken away from their school district is beyond calculation. Conclusion... How Can We Avoid Charter School Scams in Washington State? In summary, we have shown that the richest man in the world has given millions of dollars to a school district that is so corrupt that it thinks it is OK to hold public school classes in a church and spend public tax payer dollars remodeling the church. The purpose of the $2.1 million grant, as stated in the grant summary, is to facilitate a charter school money laundering operation to keep illegal charter schools open by falsely claiming that they are Alternative Learning Experience programs. We have also shown that State Superintendent Randy Dorn and OSPI participated directly in setting up this charter school money laundering scheme and tried (unsuccessfully) to get the Seattle School Board to go along with it. We have also shown that Fake Front groups funded by tens of millions of dollars from Bill Gates have set up a $500,000 PAC whose sole purpose is to bribe state legislators who are willing to sell their souls and sell out our kids to pass a bill to continue the charter school scam. These are all clear violations of the Washington State Constitution and contrary to the rulings of the Washington State Supreme Court. What is next... offering million dollar bribes to Supreme Court Justices to get them to turn their backs on our state constitution? Or spending millions to elect a few of Bill's Buddies to the Supreme Court? During the hearing on Senate Bill 6194 on January 12, 2016, I listened carefully as several parents and students spoke in favor of keeping charter schools. Do you know what they liked about charter schools? That they had smaller class sizes! What these parents and kids did not know was that the smaller class sizes came in part from additional funding from Bill Gates and other billionaire charter school promoters. The other way charter schools get smaller class sizes is by paying charter teachers starvation wages that are 30% to 50% less than real public schools. This is exactly why the Washington State Constitution calls for a uniform system of public schools. It is to give every student in Washington State a fair chance to succeed in school and succeed in live. We need small class sizes not just for charter school students but for ALL STUDENTS! This is why we need to pass Senate Bill 6093 - which would provide an additional $4 to $5 billion per year to lower class sizes in our state back down to the national average. The only way this will happen is for all parents and all teachers and all concerned citizens to demand full funding of our public schools. Thankfully, the 2016 election is coming up. I hope that exposing this charter school collusion and corruption scandal will help more parents and teachers understand the need for change in Olympia. It is time to boot some of these corrupt officials out of office. Please share this article with other parents and teachers. As always, I look forward to your comments and questions.